Having a duck baby shower? These unique duck baby shower favors are perfect! Duck baby favors are unique, will add to your decor, and are sure to be a hit at your duck baby shower. Includes favor tags. 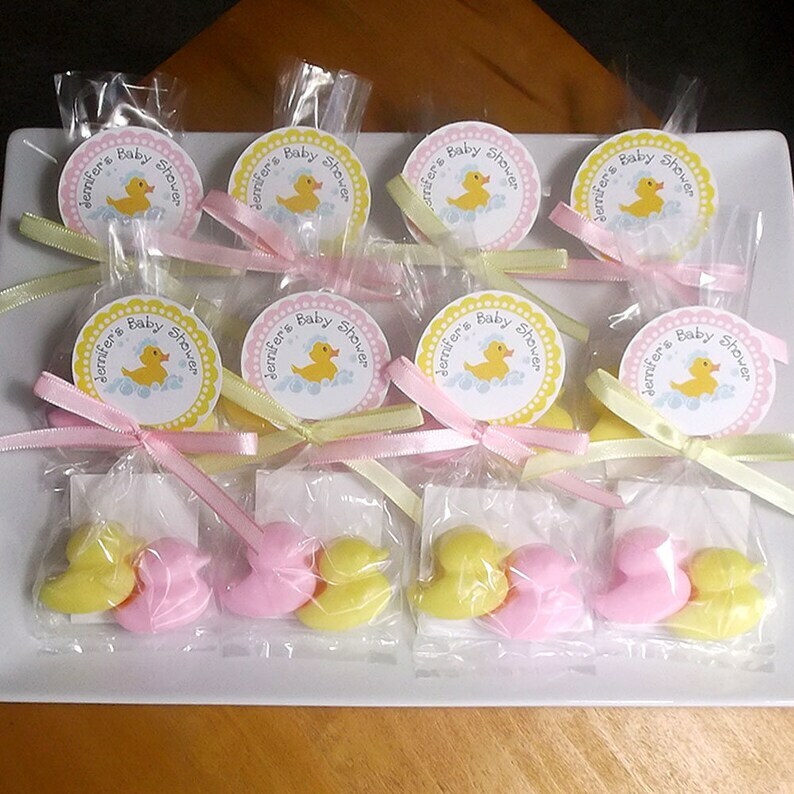 Set of 10 duck baby shower favors. Each order comes with 10 soap favors (20 soaps in total, 2 per bag). Duck soap measures approximately 1 1/2" x 1 1/4" x 3/4"
1) Choose a tag. See 5th picture. Ingredients: Glycerin (kosher, of vegetable origin), Coconut Oil, Palm Oil, Safflower Oil, Purified Water, Sodium Hydroxide (saponifying agent), Sorbitol (moisturizer), Sorbitan oleate (emulsifier), Oat protein (conditioner), Fragrance, Titanium Dioxide, D&C/Lake colorants.